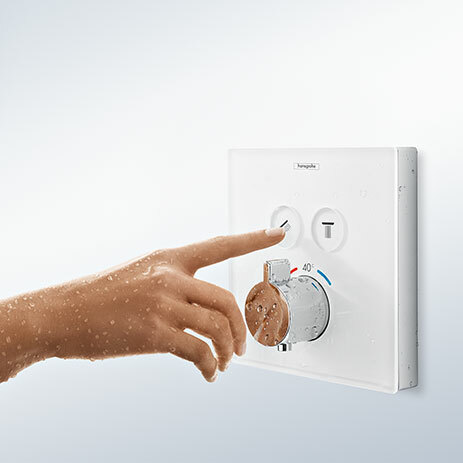 Select your jet type or shower at the touch of a button, or control water with pinpoint accuracy at the wash basin: this is the operating concept of convenience that is behind the Select button. 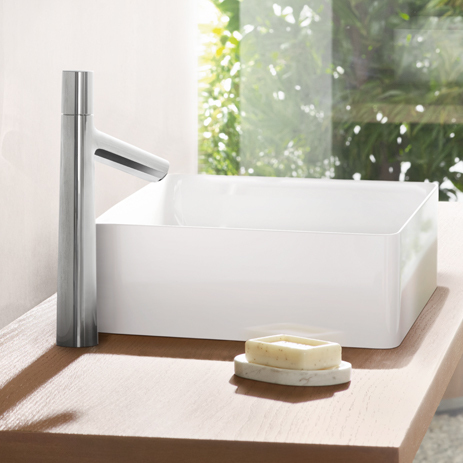 With Select, Hansgrohe was one of the first in the industry to introduce operation at the touch of a button – firstly to the bathroom, and then to the kitchen. The range of products featuring this innovative technology is constantly being expanded. 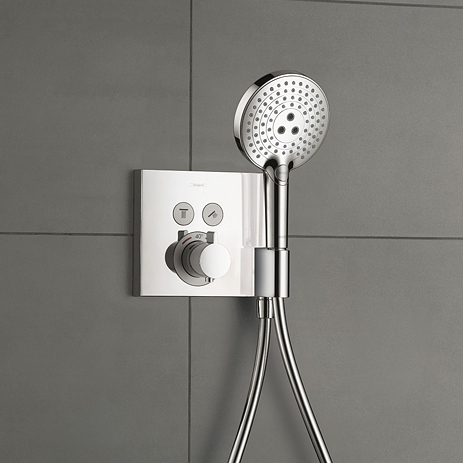 Switching from a hand to an overhead shower or turning the water on or off at the mixer with precision: the Select button guarantees simplicity for your customers day in, day out. 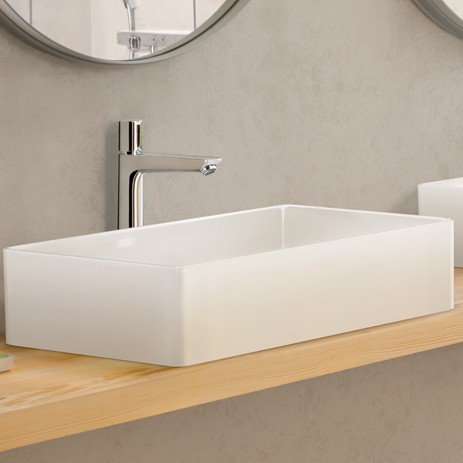 Select products in the bathroom are ideal for customers who expect showering to be an enjoyable experience and who appreciate user comfort at the wash basin. 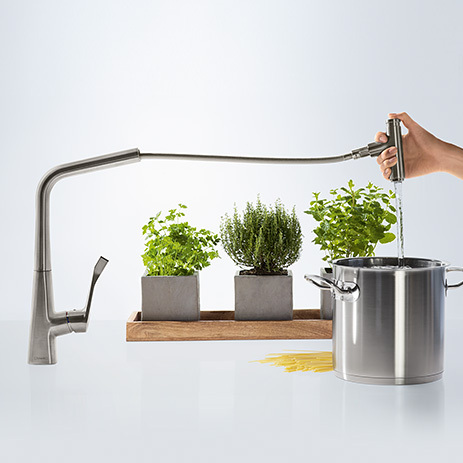 The Select button makes kitchen chores a breeze: it will really appeal to your customers, whether they are amateurs or professional chefs. 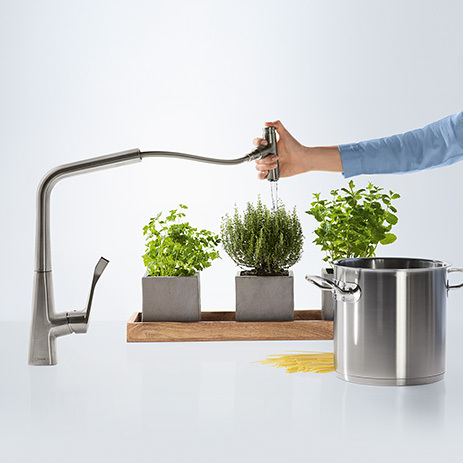 The Select button is impressive in the kitchen because it can be used to turn the water on and off really easily, and to control the flow of water with pinpoint accuracy. Select helps save water because the fast button encourages you to turn the water off, thereby conserving this precious resource. 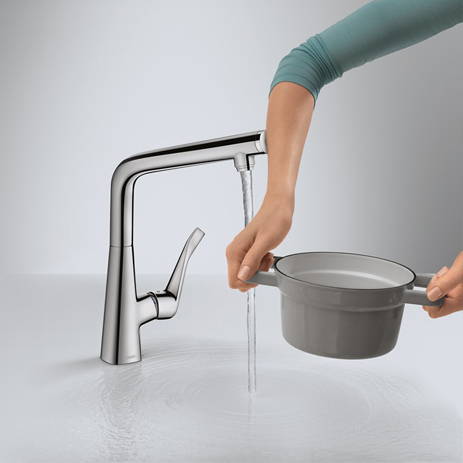 The Select button embodies timelessly modern design and is an eye-catching feature wherever there is flowing water. 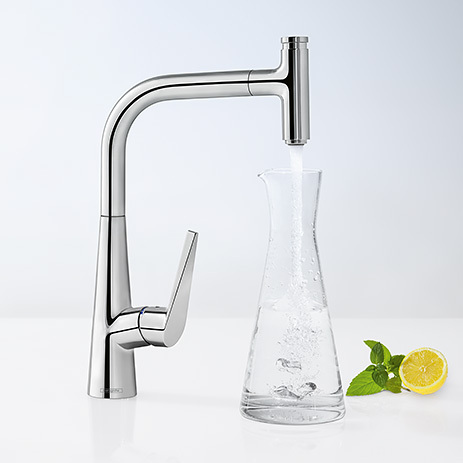 The complete range was designed by Phoenix Design – one of the world's leading design offices.